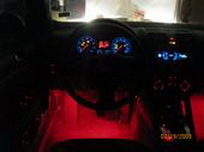 You can find this product under JDM Slim Ultra Blue/Xenon White/Brilliant Red 24 inches 30LED Flexible LED Strip Lights for interior, under door or floor lighting (50-060). 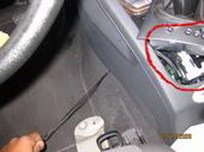 Step 1: Open up the cover that way in the back behind the gas and break pedals. 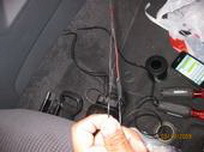 Step 2: Use the wire clothes hanger take it apart and wrap the LED strip electric wires around it so it can push the wire up thought the hole and reach it near the battery. 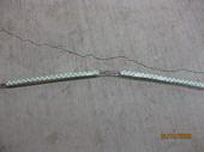 Make sure to leave enough slack on the other end in order to have enough room to work with. 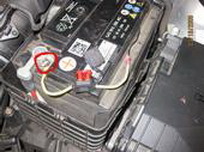 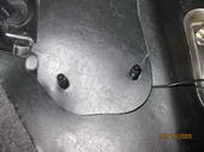 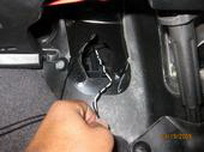 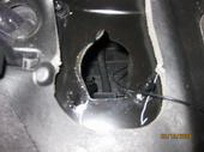 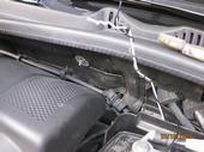 Step 3: Connect the fuse holder to the positive side of the battery by unscrewing the nut on the battery. 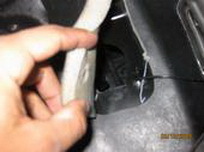 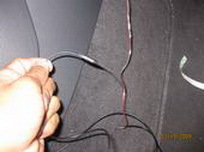 Step 5: Plugged in the fuse holder, use a wire to wire connector and connect the wire that brought up through the firewall hole and connect it to the other end of the fuse holder. 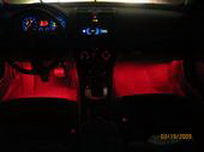 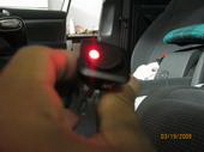 Step 6: Mount the LED strips underneath the dash on both the drivers side and passengers side to the desired positions using the back 3M tapes. 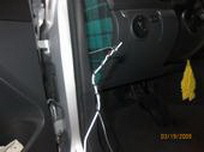 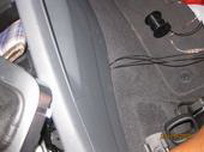 Step 7: Run two separate pieces of wire from the drivers side to the passengers side. 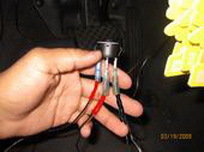 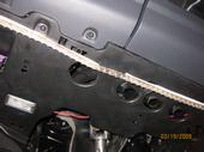 These will be connected to the positive and negative wires of the LED strip on the passenger side. 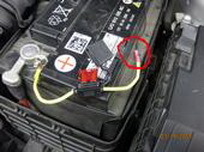 Again don't forget which wire is the positive and which is the negative. 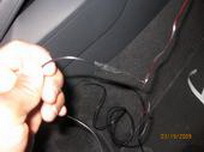 Step 8: Run the wires through from the passenger side to the drivers side connect the negative and positive wires from the LED strip on the passenger side to the wires you just ran through. 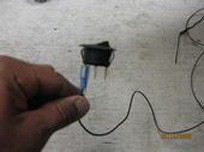 Step 9: Install switch (optional) and test it. 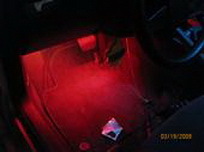 Step 10: Enjoy the new light! 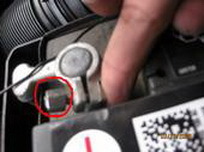 Thanks to http://forums.vwvortex.com, for original post, please check here.